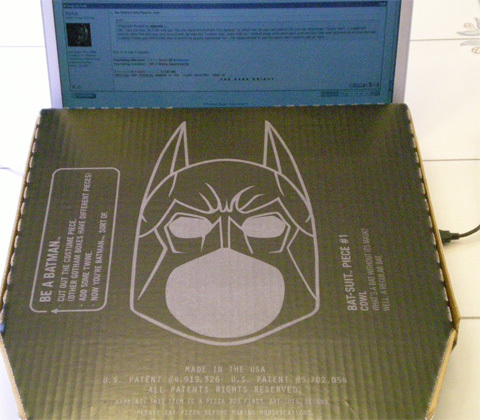 Comics2Film reports that Domino’s is running some “viral” promos for the new Batman film. 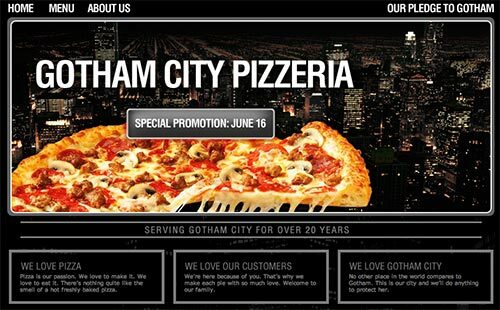 There’s a website for a Gotham City Pizzeria, which mentions a mysterious “Special Promotion: June 16″. The idea of marketing that attempts to hook people by not giving them any information always seemed cheesy to me for the most part. 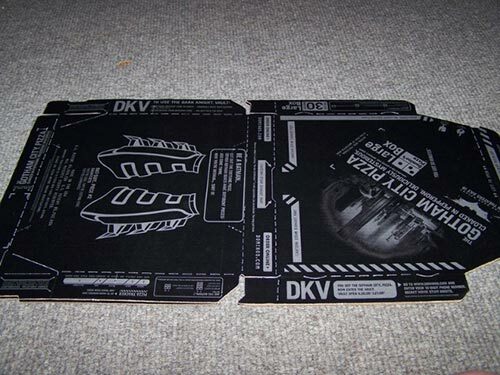 I guess it works though, because I’m posting this here, aren’t I? 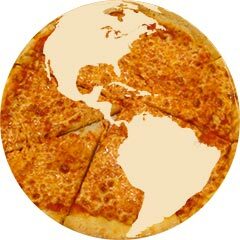 I’m a little bummed to hear that Bella Luna, the unofficial representative of Pizza for my neighborhood, is being forced to move from its current, epic location to a spot further out, in the Brewery Complex. To make matters worse, their sister organization, The Milky Way Lounge & Lanes, is expected to close altogether. I admit that my experiences with Bella Luna’s pizza have varied widely from really good to curiously uneven to just acceptable, but it always bums me out to see an independent pizza maker forced into closing its doors due to monetary reasons. Bella Luna is also one of those places that really takes pride in their pizza and – as funny as it might sound – their pizza’s role in the community. I can’t tell you how many free slices of Bella Luna I’ve eaten at various fundraisers, art shows, etc. 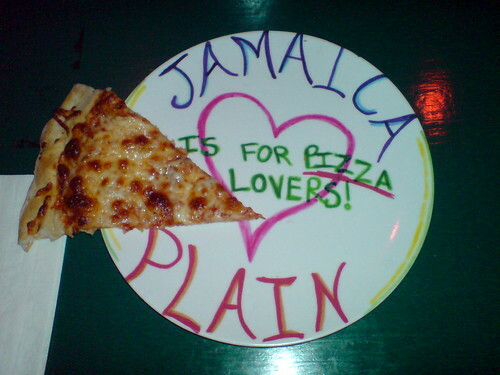 Bowling for free whilst eating pizza in JP is soon to be no more… bummer. 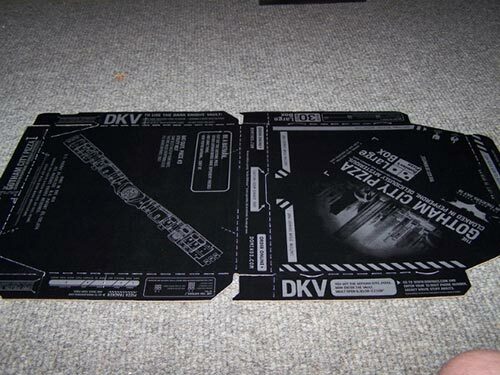 There’s a Canadian pizza franchise called Boston Pizza that I was interested in for obvious reasons. After a little research, I found out (from their own website, no less) that Boston Pizza really has no ties whatsoever to Beantown. The truth is that they basically just exploited the name to add credibility to their pie: “Boston was a recognizable and established name… it was the ‘Big Leagues’”. They don’t even have any locations in Massachusetts! I suppose the name Edmonton Pizza wouldn’t have sounded quite as legit. 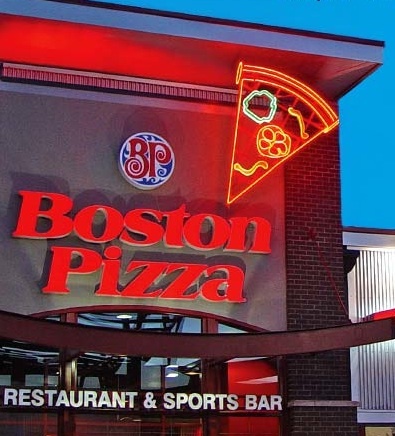 I also noticed that their slogan – “You’re among friends at Boston Pizza” – is very much reminiscent of the “where everybody knows your name” tagline from Cheers (which actually does have legitimate historical origins in Boston). There’s an article in the New York Times today about how pizza chains are struggling from the rising cost of ingredients and competition from other restaurants. 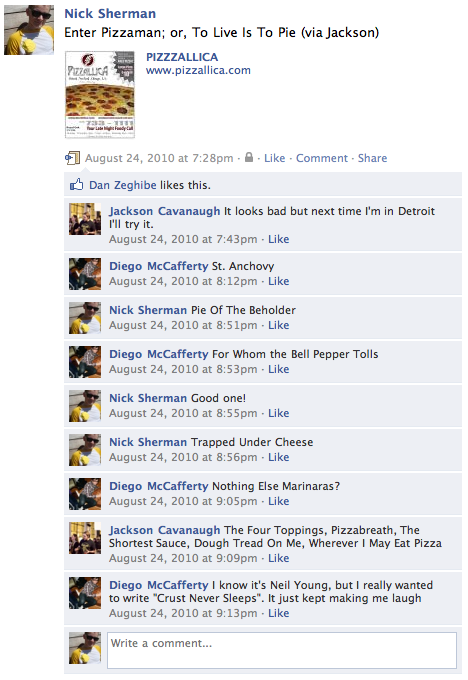 One thing mentioned which was interesting to me is that one of the sources of competition is from independent pizza. To be honest, I’m not a huge fan of giant pizza chains and would much rather see indy pizza benefit at the cost of bigger chains. Some lucky dude who has owned the pizza.com web address since 1994 (he paid $20 + small annual fees) just sold it for $2.6 million.